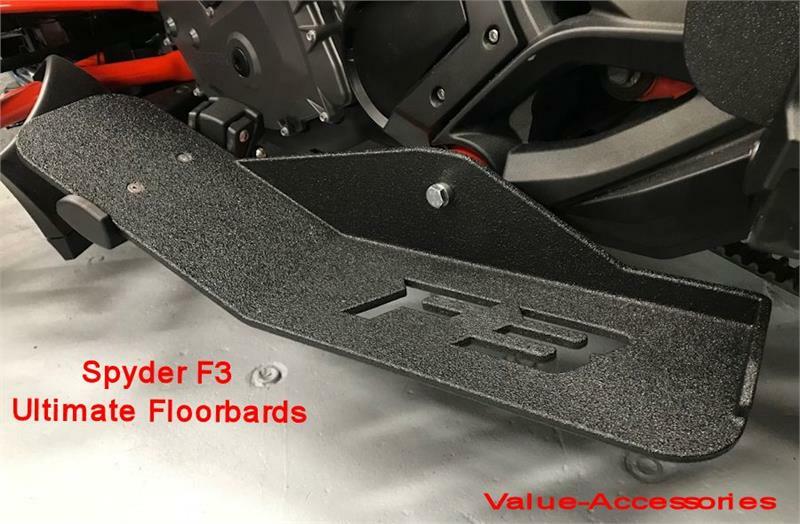 These are the best and most comfortable Spyder F3 Floorboards out there. 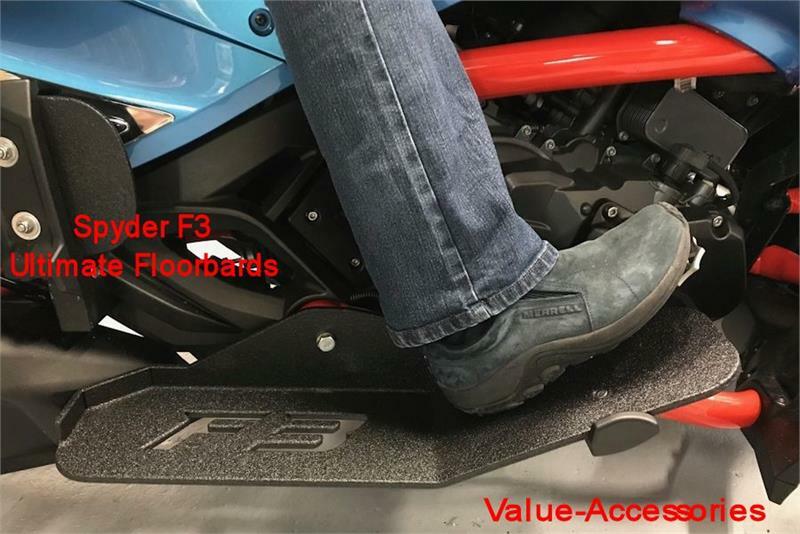 These Ultimate Floorboards offer multiple riding positions, combining the F3 position with an RT like style position, you get to choose. 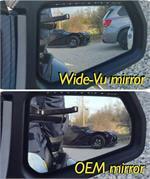 Pick the U-Fit Position that your pegs are at right now. The Ultimate Floorboards are custom made to your position. 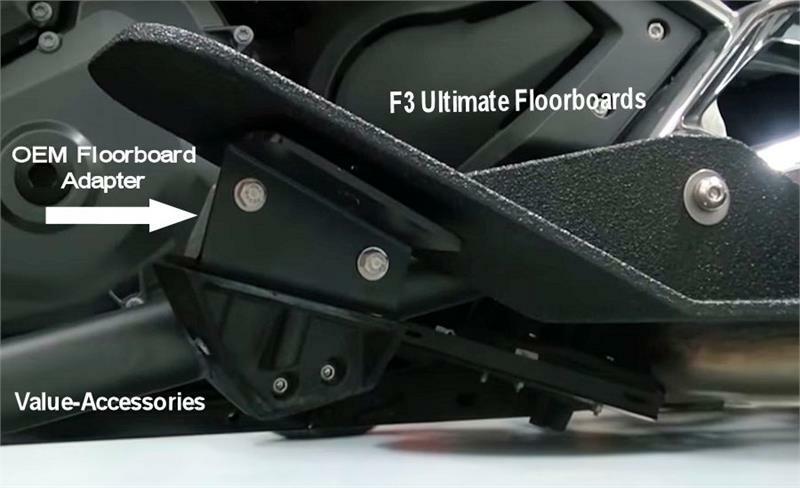 Gives you the much needed help to mount the bike, the only board to give you a full size step to get on and off the Spyder, that's the safety you were looking for !!! Non slippery and low maintenance Line-X covered. The Ultimate boards give you some much needed protection against the wind, rain and water. 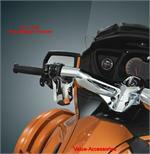 Made of 1/4 in thick Aluminium with a Line-X covered wrap around, this is tough, safe and stylish. NOTE: If you have a manual shift model you will need to contact us for a specific board that is angled differently. 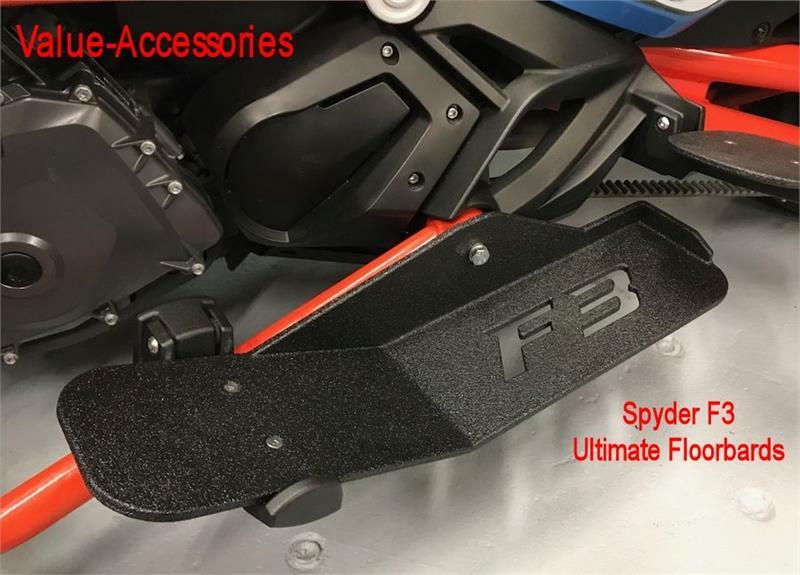 Works on all F3 Spyders with Stock PEGS or OEM Floorboards. 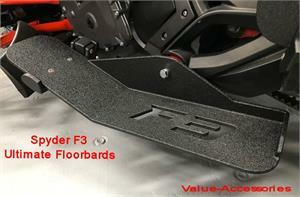 Note: If choosing replacing OEM Floorboards the kit will also include Floorboard Adapters. 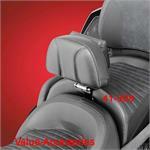 You will also receive a block to move your brake pedal up a bit if desired. 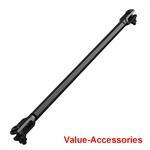 Video for installing the OEM Floorboard Adapter kit.